Ninel Myshkova was a Soviet theater and film actress, Honored Artist of the RSFSR (1976). 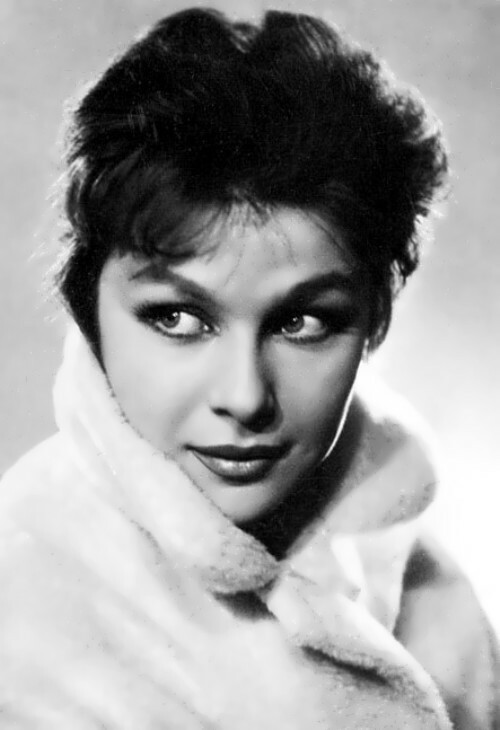 Pretty girl was born on May 8, 1926 in Leningrad. She was the daughter of Lieutenant-General Konstantin Romanovich Myshkov and impoverished noblewoman Natalia. In the post-revolutionary period many parents gave unusual names for their children. The father-revolutionary named his daughter Ninel – Lenin if read it backwards. However, when the girl grew up, she asked to call her Eva, even made her debut in the movie under this name. So even Ninel’s first husband Vladimir Etush didn’t know her real name before their marriage. The family lived in Leningrad, but later the father was transferred to Moscow, where, on Joseph Stalin’s personal order, Myshkov was given a three-room apartment on Chistye Prudy. Konstantin Romanovich heroically died near Stalingrad. After school the girl entered the Shchukin Theater School and graduated from it in 1947. At the same time the girl played her debut role in the film For Those In Peril by Alexander Faintsimmer. Victoria Shamis is a beautiful girl and the owner of Victoria’s Vintage boutique. Pretty girl graduated from the University of the Arts in London. During her studies she worked for Alexander McQueen’s fashion house. While traveling to Paris together with the husband Victoria met Didier Ludot. One of the greatest vintage collectors in the world was fascinated by Victoria and agreed to become an exclusive partner of her future boutique in Russia. The idea to open her own boutique of vintage clothes appeared while Victoria was studying in London. At first it was an impossible dream. But, after a meeting with Didier Ludot in 2009, it became clear that the dream could be fulfilled. From the beginning, Victoria’s Vintage project was something like a private club for those who understand the subtleties of haute couture with the past. On April 24, 2011 at the legendary hotel Metropol the first Vintage couturier boutique in Russia was opened. Yelizaveta Tarakhovskaya was a Russian poetess, playwright, translator and author of children’s books. You know, she is a sister of poets Valentin Parnakh (twin) and Sofia Parnok. Liza Parnokh (her birth name) was born on July 26, 1891 in Taganrog into a family of pharmacist. Her father Yakov Solomonovich Parnokh was a pharmacist and an owner of the pharmacy, an honorary citizen of Taganrog. And her mother Alexandra Abramovna Parnoh, nee Idelson, was a doctor. By the way, her brother Valentin Parnakh was the founder of Soviet Jazz music. The girl graduated from the Mariinskaya Gymnasium in Taganrog with a gold medal. Then she studied at the Bestuzhev courses in Petrograd. 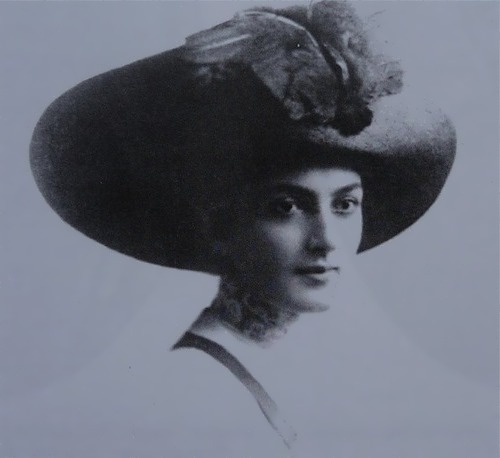 In 1920, she married “the son of a Taganrog merchant” Alexander Abramovich Tarakhovsky in Rostov. His father, literary and theater critic Abram Tarakhovsky (pseudonym A. Darov) published his works in the Taganrog Gazette, worked for Priazovsky Krai newspaper and was in correspondence with A. P. Chekhov. The marriage did not last long. Actually, Yelizaveta started to write poems in her childhood. She is an author of numerous children’s books in different genres (poetry, prose, drama). 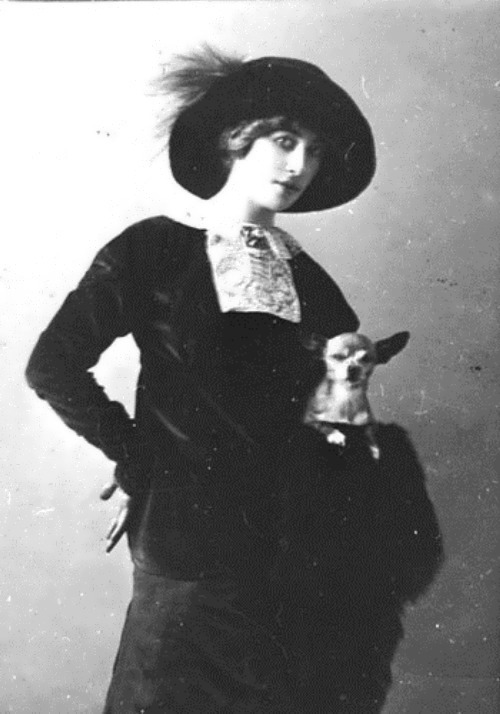 Popular dramatic actress Lydia Yavorskaya is one of the most controversial figures in the theater world of the early 20th century. Her amazing efficiency and purposefulness were combined with vanity, egocentrism and ambition. Theater critic Suvorin called her a deceitful creature, woven of pretense and envy. Chekhov considered her to be an intelligent woman, but an overly loud and mannered actress. Despite this, there were rumors that they were lovers and that Yavorskaya became a prototype for the actress Arkadina from Chekhov’s Seagull. 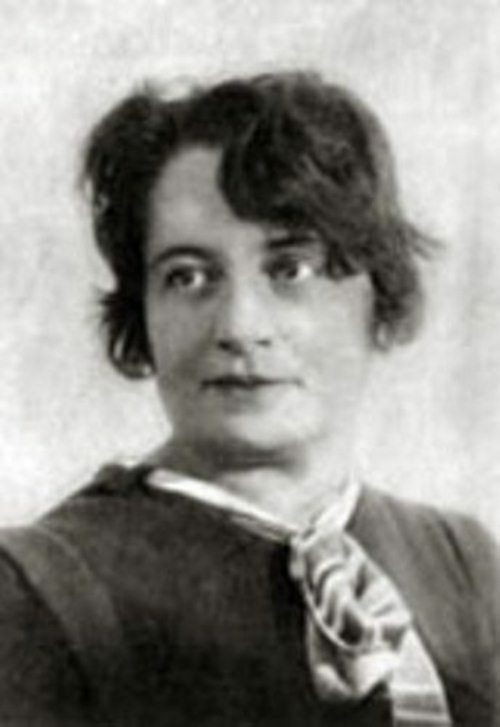 Lidia Borisovna von Hübbenet was born on July 22 (August 3), 1871 in Kiev. Her father was a chief of police. Little girl dreamed of becoming an actress and was happy to take part in amateur, home and charity performances. 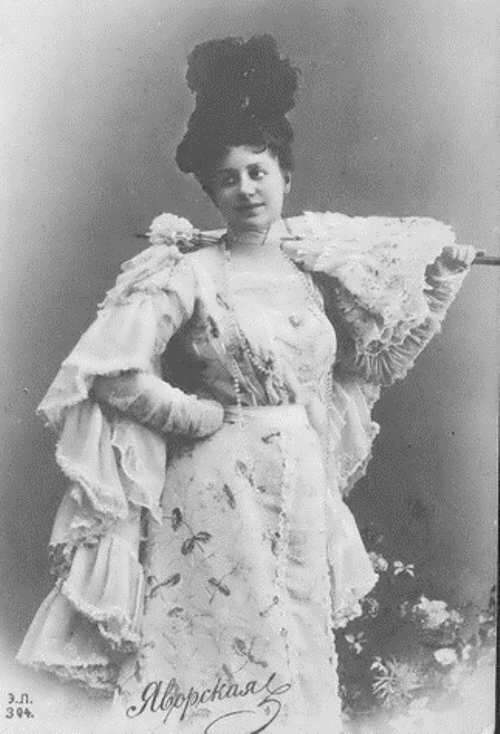 Yavorskaya’s first performance took place in February 1880. After graduating from the Kiev gymnasium, she went to Petersburg and enrolled in the dramatic courses of V. Davydov. Lydia was not admitted to the Alexandrinsky Theater. But she did not abandon her goal and went to Paris, where she was taught by the actor of the Comedie Française Theater. It is said that Lydia married someone called Yavorski while in Kiev, that he was a drunk and/or womanizer, and the girl quickly divorced him. 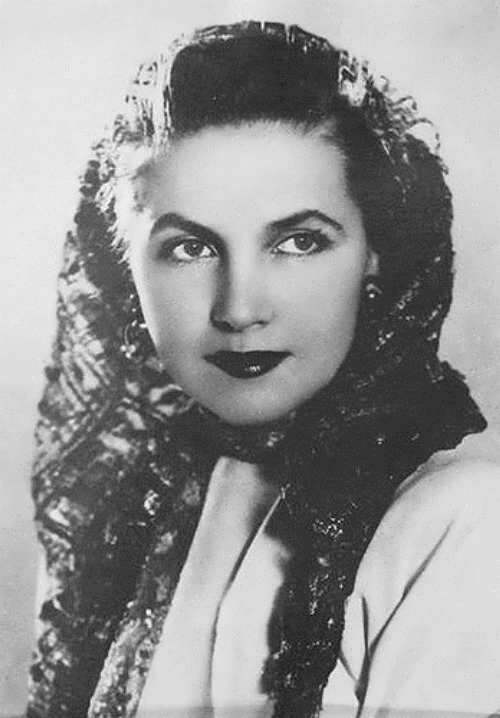 For the beauty and talent Tamara Makarova was called Russian Greta Garbo. And if the husband of Tamara – Sergei Gerasimov – was unofficially recognized as the main director of Soviet cinema, then his talented wife was called the first lady of Soviet cinema. People’s Artist of the Soviet Union lived a long and dignified life. Pretty girl was born on July 31, 1907 (according to other sources, in 1902) in St. Petersburg, Russian Empire into the family of a military doctor. Little girl was interested in theater and ballet. At the age of 14 Tamara and her neighbors’ children created their own “theater” and gave performances for neighbors. In 1924 Tamara entered the acting school, where she first met her future husband Sergei Gerasimov. By the way, in 1927, Makarova debuted in the film Somebody Else’s Coat. On the set of the film she met Gerasimov again. Young people became closer and got married. Makarova’s acting career was associated with her husband. In 1934 Tamara played in the film Do I Love You? directed by Gerasimov. The films Seven Brave, Komsomolsk, Teacher, and Masquerade were also successful. The last film was completed just before the war. Makarova and Gerasimov stayed in the city until 1943. Tamara participated in the defense of Leningrad and worked as a nurse.